Directly following the Brexit vote there was a sharp decline in confidence, in UK property prices, but has steadily improved through Autumn and looks like continuing to do so until Brexit actually fully happens. Most analysts are suggesting property prices will be alot calmer in 2017. 2016, despite Brexit will see prices on average increased by around 5%, across the UK. Analysts suggest that the South East and East of England will probably surpass London in 2017,as far as property price increases, some suggesting Greater London may even decrease prices. Theresa May has said formal notice to quit the EU will be served by the end of March 2017. Analysts are saying this will badly hit consumer confidence in every sector due to the huge uncertainties surrounding Brexit. 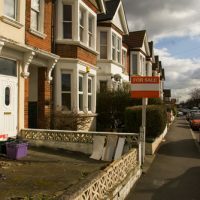 Also the new taxation laws on landlords and the buy to let market will slow demand and as a result slow price increases. Leading global real estate company Knight Frank has stated the 5% price growth UK wide, in 2016, will fall to just 1% in 2017, before gradually rising again throughout 2018 and 2019. London priice growth was 7% in 2016, but Knight Frank are suggesting a fall of 1% in 2017. Only Wales has had a bleak looking 2016, with average prices dropping by 0.5% and this is set to continue through 2017 and 2018. Whatever happens in 2017 all hinges on Brexit and Ms May’s strategy for it. Everyone, including Knight Frank, are currently in the dark, so this at best is speculation. Good Tenant/Landlord Relations →← Boost the chance of selling your home.